The holidays are the perfect time to pull out your best cocktail attire. Christmas pageants, office parties, Christmas weddings, New Year’s Eve – it’s called “the most wonderful time of the year” for a reason, and it’s not just because of candy canes and eggnog. So how can you “go glam” without going over budget – especially if you don’t really need a lot of special occasion clothing? By thinking smart and trying to get the most out of your cocktail attire. Your goal should be to find great pieces that stop traffic yet can also be worn more than once and more than one way. Don’t spend a lot on something you only wear once. Spend moderately on pieces you can wear many times. Or, get extra mileage from your existing holiday wardrobe by wearing it in different ways. The easiest way to do that is with color. Crisp, cold air calls for strong jewel tones. Ruby, Emerald, Sapphire, Diamonds. These are the colors of the season – along with black, white, silver, and gold – and you’ll look festive and clever by incorporating them into your ensembles. Adjust color intensity to your skin tone, as needed. Opt for a simple, classic style that suits your figure. …or a pink satin jacket for New Years’ Eve. A great alternative to the LBD, a sapphire (or other dark blue) cocktail dress is perfect three seasons a year. Pair it with black, flesh tone, or metallic shoes, and add coordinating accessories. A bit bold, but certainly festive. Just don’t overdo it. Pair it with black, winter white, or metallic accessories to keep the focus on the dress. Another bold color, emerald green can be elegant if you pair it with black, metallic, or other eye-catching accessories. Just skip the red accents this time of year – you don’t want to look like an elf. Not a fan of cocktail dresses? Try a head-turning winter white cocktail suit instead. Go monochromatic, head-to-toe white, or add pops of holiday color with your lipstick, jewelry, or other accessories. Or, go all out by pairing it with a sapphire or ruby colored taffeta skirt for a Christmas ball or holiday evening wedding. You’re only limited by your imagination. Nothing says par-t-a-a-y like metallic sequins. Wear them with skirts, pants, or even under a business suit for an easy evening look. 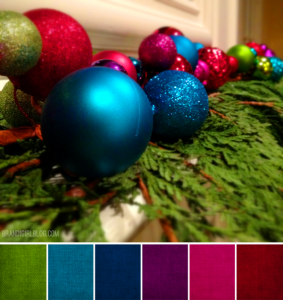 Again, using the holiday color palette as your guide, think about what’s appropriate for various situations, and then mix and match to get the most out of your cocktail pieces. Notice how I recycled various clothing and accessory elements in these examples, just as you should when you dress. It’s the only way to get the most out of this (usually) little-worn part of your wardrobe. Again, you don’t need a lot, and you certainly don’t need to spend a lot. You just need versatile pieces that work with a variety of outfits. 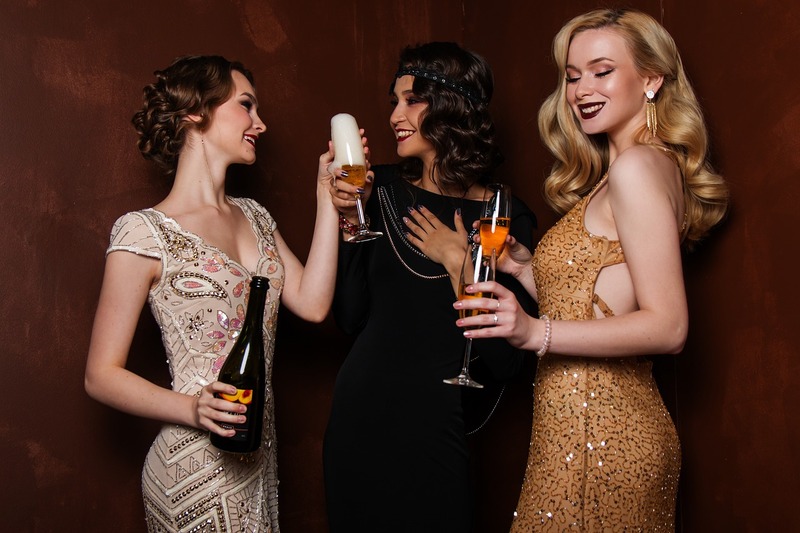 So when’s the best time to shop for cocktail attire? Right after the new year, when stores are trying to get rid of their remaining holiday inventory. But you can still score some good deals throughout the season – just check your favorite department store website or follow them on Facebook to get notified of sales in your news feed. Demand as much from your cocktail attire as you do the rest of your wardrobe. Buy pieces you can mix and match for versatility, and use the colors of the season for styling inspiration. With a little imagination, you’ll be surprised by how many looks you can create. The colors and the accessory recommendations are beautiful! Glad you liked them! Sometimes it’s easy to get stuck in LBD cocktail attire mode, so I wanted to offer some fun, eye-catching alternatives. The examples are all very lovely, but I do not understand the use of sleeveless tops/dresses for winter holidays. I realize the guidlines would be the same, but I’d like to see examples appropriate for sub zero weather and drafty party rooms. Since Napoleon, formal wear for women has typically included short sleeves, sleeveless, or off-the-shoulder styles. This openness on the top offsets the long and (often) very full skirts on the bottom, and offers a glamour that more modest sleeves do not. The drawback, as you noted, is getting cold in cool weather. This was a very useful article. There is something for everyone here and all budgets. Great to have the pictures showing us “how”. I loved the lacy white top with black sash, black pants and red shoes. Thanks! Glad you enjoyed it! My goal is to get everyone thinking about the pieces they already have and give them styling ideas. As noted in the article, one of the easiest ways to do so is to let color be your guide. I can easily see that dress with a black bolero jacket and black accessories. But I’m not wild about the ribbon belt – it makes it too youthful for a women in her 40’s. I’d either take off the belt or cut it to fit your waist and sew on enclosures so it can fasten in the back. Otherwise, it’s beautiful! Great and timely article Diana. I had great success shopping high end consignment shops for a wedding we attended last year and often suggest to my clients that this is a great way to find that special dress, and all the accessories at a more affordable price -especially when these occasions aren’t typically part of ones lifestyle. Glad you enjoyed it, Mary Lynn! 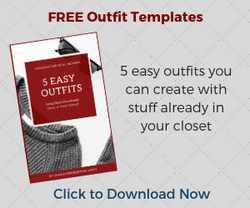 Yes, I can’t agree more – spending a lot on clothes you only wear once or a few times seems like a waste to me – even for your own wedding dress. There are much more sensible ways to go about it. You were right about the ribbon. 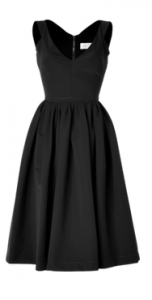 I’ve replaced it with a plain black elasticated belt with a fastening hidden under a small black fabric rose (which is no wider than the belt and hardly visible unless very close) – it instantly removed some of the ‘I am 18’ look of the dress. A plain black satin bolero with 3/4 length sleeves is also mine and instantly adds maturity to the dress. I’ve also got some classy looking costume jewellery colour matched earrings and necklace to finish things off. When I put it all together next week perhaps I’ll find a way to email you a picture so you can see what I did with your advice. However, it put me in mind of a possible future article for you. Clearly some trims and accessories are more suitable for some ages than others. I didn’t realise this and which they were. You noticed it straight away and realised the solution was either replacement or removal (I tried the latter and preferred the former). I wondered if discussion of this area might possibly make an article for you in the future? Glad the solution worked for you! I would LOVE to see a picture. Please email it to the help desk if you get a chance. As for the article, I will certainly keep it in mind. I think a lot of women could benefit from the advice. Thanks for the suggestion!